Welcome to IPS Insights, our quarterly email newsletter. In each issue we aim to provide you with insights on how IPS is digitizing business. Technology, techniques and tactics are moving fast in the document scanning and imaging industry. When you're embarking on your project, never settle for average when you can have best in class for less. Years of experience with complex backfile conversion projects has helped IPS establish tried and true procedures for completing the process. A proper paper-to-digital backfile conversion begins with the presentation of the business case, proceeds into planning, testing and ramp-up phases, and continues with final production, quality control checks and digital archiving. Click "learn more" below for a virtual tour through the IPS backfile conversion process. 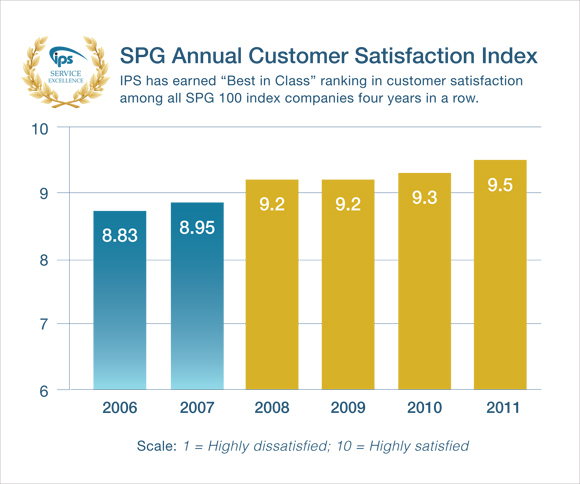 The customers have spoken - and once again, they have plenty of good things to say about IPS . IPS this year continued its commitment to reducing its carbon footprint and increasing awareness of environmental issues by making a contribution to Trees for the Future.